An interesting article appeared in the Springfield (Missouri) News-Leader this month. It seems that columnist Steve Pokin became intrigued after an LDS acquaintance told him “that it was once legal to kill a Mormon in Missouri.” Because this claim sounded implausible to Mr. Pokin, he decided to do some research. His article, “Was there ever a time in Missouri when you could legally kill a Mormon?” chronicles his investigation. In researching for his Springfield-Leader article, Mr. Pokin consulted four Mormon historians and officials; he concluded that the answer to the question found in the title of his article is “nuanced.” In other words, it depends on who you talk to. For example, Jonathan Rimington, a spokesman for the LDS Church, told Mr. Pokin, “You could have shot me on the streets with no repercussions.” But John Lawson, director of the Church’s Springfield Institute of Religion, said that’s not true. Mr. Lawson explained that the Executive Order allowed for forcing Mormons to leave Missouri (a terrible thing), but “There was no law that you could go out and kill people.” Indeed, according to Mr. Lawson, Governor Boggs’ use of the word “exterminate” in 1838 referred to forced expulsion, not death. So what can we conclude from Mr. Pokin’s research? Was it legal to kill Mormons in Missouri from 1838 until the Order was rescinded in a 1976 good-will gesture by then-Governor Kit Bond? Mr. Pokin says the answer is “nuanced,” but I contend that it either was legal, or it wasn’t. Its legality stands independent from the way historians choose to interpret the Order today. In answer to his question, Mr. Pokin learned that seventeen Mormons were killed at Haun’s Mill three days after the Order was issued, and no one was ever tried or convicted by a court for the deaths. This seems like it adds weight to the assertion made by LDS spokesperson Jonathan Rimington that “You could have shot me on the streets with no repercussions.” However, historically speaking, it’s not that simple. Historians dispute whether the Missouri vigilantes responsible for the massacre at Haun’s Mill could have even known of Executive Order No. 44; it was too soon for that information to have reached them. The unfortunate lack of an ensuing investigation of the massacre was not because the law affirmed and upheld the killing of these Mormons, as some might infer. It was due to the fact that the whole situation of the Mormon War was out of control. Those non-Mormons who killed at Haun’s Mill, as well as the non-Mormons who engaged in the burning and looting of Mormon homes, were never tried and convicted; just as those Mormons who killed a State Militia soldier, and participated in burning and looting of non-Mormon homes, were never tried and convicted. 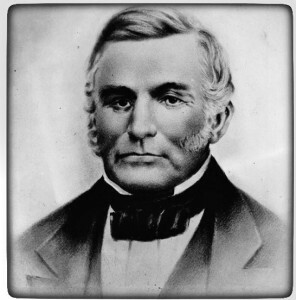 LDS historian Stephen C. LeSueur affirmed, “No Mormons were convicted for crimes committed during the Mormon War” (The 1838 Mormon War in Missouri, 256). It is true that the terms of surrender presented to and accepted by the Mormon community placed an immense burden on them; however, the massacre at Haun’s Mill, as horrible as it was, does not support the assertion that it was legal to kill a Mormon in Missouri. Thankfully, as far as I am aware, there’s no evidence that any Missourian ever acted on a belief that it was legal to kill Mormons in his state. I don’t understand why Mormons think there is value in perpetuating this particular bit of “fake news.” I suppose they find it faith-promoting, or faith-affirming, but anchoring faith in the shifting sands of bogus history is not only foolish, it is spiritually dangerous (see Matthew 7:24-27). Especially in light of the fact that we have “a sure and steadfast anchor of the soul” (Hebrews 6:19). His name is Jesus, and our eternal safety – yours and mine – is to securely anchor our hope in Him. I’ve only taken a quick look at Mr. Pokin’s article and information pertinent to the LDS assertion regarding the killing of Mormons in Missouri. The entire 1838 Mormon War is a fascinating subject, well beyond the scope and intent of this article. I encourage interested readers to investigate its history further. You might begin at the digital Missouri State Archives in The Missouri Mormon War section.